Forum Discription: From the northern snow-covered Alps to the hot southern beaches of Apulia, Italy’s regions encompass everything good. Peposo is as interesting as it is delicious. The dish was invented by terracotta makers in Florence Italy who were producing tiles for the world famous Duomo. 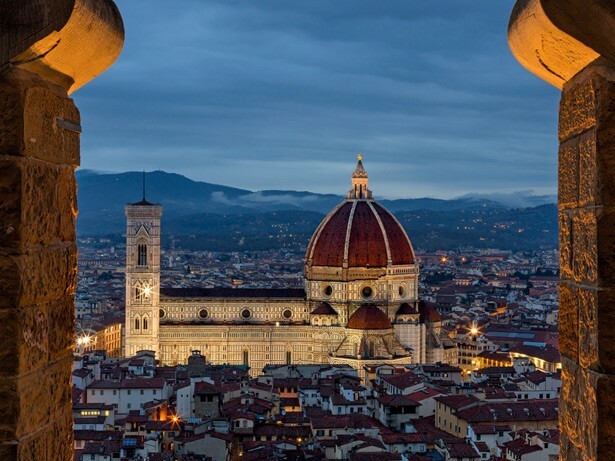 The dome's construction began in 1420, before tomatoes had been introduced to Italy so purists leave them out but many modern cooks add tomatoes. This is an old recipe. Legend has it the dish was invented by the dome's architect, Filippo Brunelleschi, but we'll never know for sure. Its possible. He was a rather eccentric genius. The stew was cooked in terracotta pots by terracotta workers in the neighboring town of Impruneta where terracotta has been produced since the Middle Ages. 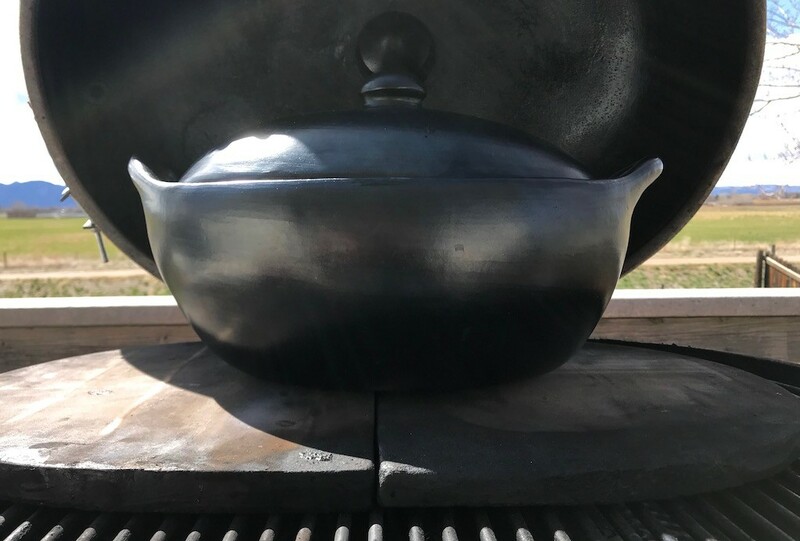 The stew pots were placed next to operating kilns or left overnight inside shut down kilns. The meat was of poor quality, not very fresh, and heavily peppered for this reason. Chianti was locally made and became the braising liquid. Beef shanks are the traditional meat used in peposo but I used beef short ribs. 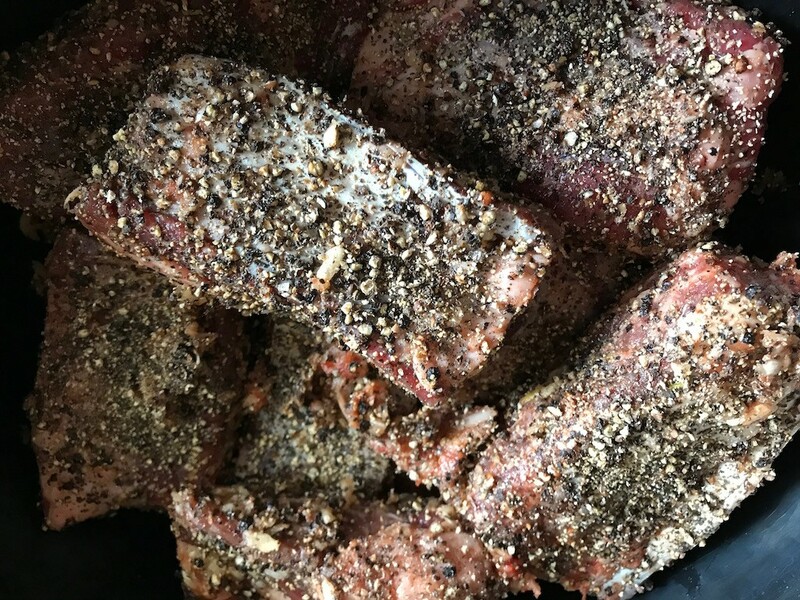 Salted short ribs were further prepped by massaging with a full head of garlic ground into a paste mixed with 2 tablespoons of tomato paste before coating with 3 tablespoons whole black peppercorns before coarsely cracking them with the bottom of a small frying pan. 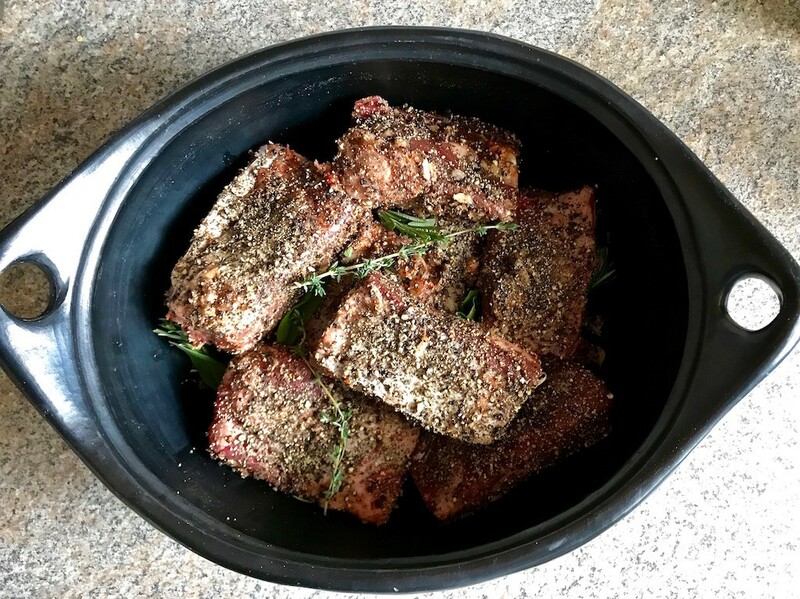 Add a small amount of sage (3 leaves), rosemary (1 sprig cut into 3 pieces) and thyme (2 sprigs) and 2-3 tablespoons freshly ground black pepper. 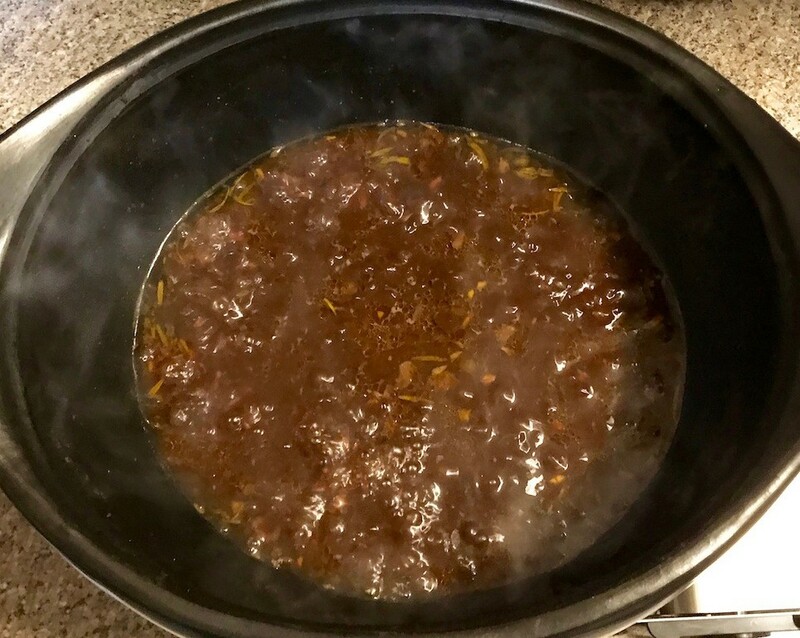 I removed the finished fork tender meat, removed the bones, mostly defatted the braising liquid in a gravy separator before reducing it to a sauce. When the braising liquid had been reduced I returned the meat to the sauce. A popular way to serve this heavily peppered long braised beef stew is with a side of Cannellini beans and Tuscan bread. I Plated the peposo and sauced it over garlic/olive oil spinach and cheesy, buttery, soft polenta. Cause polenta! 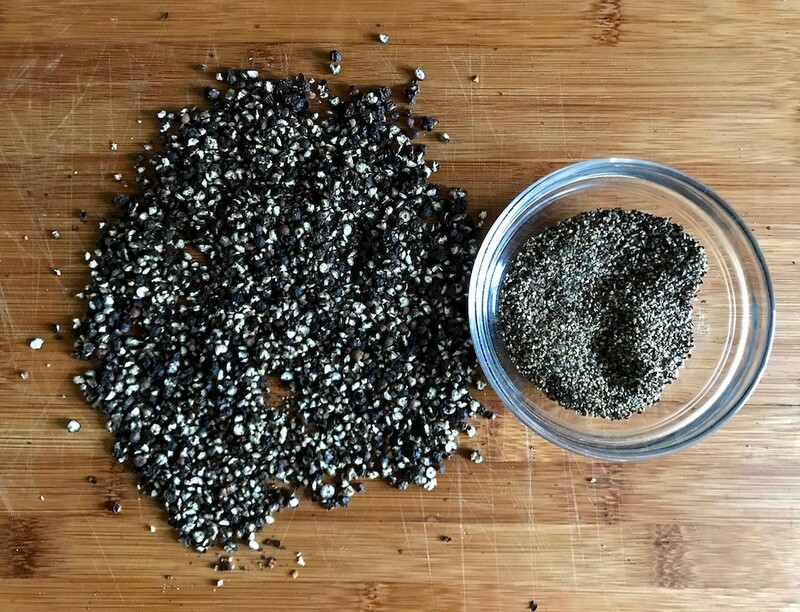 The flavor of long braised black pepper cannot be described. It needs to be experienced. Wow! A truly beautiful presentation of a little known recipe. Peposo is indeed a little known dish in the US. I had certainly never heard of it. I stumbled across it quite accidentally. This is not the case in Tuscany. "In mid-September every year in Impruneta, Peposo Day is celebrated. The local massaie, or housewives, prepare their best and most traditional peposo all’imprunetina. A selected commission awards the best peposo and everyone drinks to celebrate this delicious food, so beloved by the genius architect Filippo Brunelleschi and the humble fornacini who furnished him with the Duomo’s building materials." "...the recipe may be called either peposo all’imprunetina or peposo alla fornacina. The first name describes the geographical relation to Impruneta where terracotta has been produced since the Middle Ages. The second name describes the dish’s earliest cooks, the fornacini or kiln workers." Absolute perfection - great job! Absolutely a fascinating dish .. I had lived in Firenze ( Florence ) for one year in the 1990s .. I had eaten this dish during that period .. it was served quite differently and it had no tomatoes .. and it is traditionally cooked in Tuscan red wine and not served on polenta ( polenta, or corn is grown in Veneto in the Po Valley ) ..
What I do recall is that the beef stew, or Peposco is served with Cannelli beans on same plate .. The Tuscans are large bean or legume eaters, as they produce sufficient sustainable and natural amounts both for locals and export .. However, it is quite a long time ago, since I have had this dish .. I am going to print the récipe and enquire with a dear Tuscan friend about it .. I would like to prepare this dish ..
You're right about the beans, of course, and I considered siding the beef with the Tuscan bean dish Fagioli all'Uccelletto which is also made with tomatoes. At least the recipe I use is. It is one of my favorite bean dishes. But I wasn't necessarily looking to recreate the original peopso or even one how it is prepared today. That is part of the Joy of Cooking (I can't believe I wrote that either). 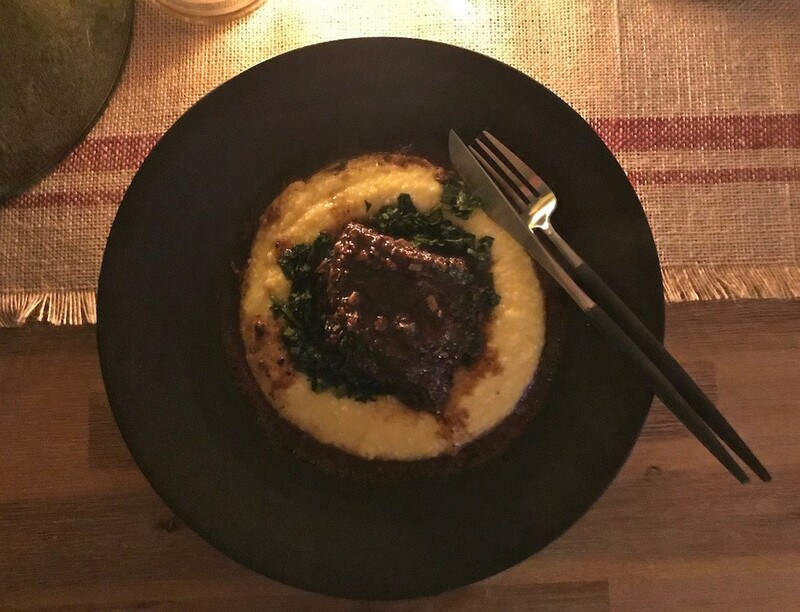 I always seem to pair short ribs with soft polenta (mmmm... soft cheesy polenta with butter). They were made for each other and I can't imagine short ribs without it. From what I've read, peposo is just as likely to be served with Tuscan bread. Either along with the beans or on its own. Tuscan bread is another interesting story. It is made without salt, having come about during early times when salt was expensive, so the bread is somewhat flavorless. Because of this, eating it on its own may be a disappointment but, also because of this, it has a springy texture rather than flat when sauced and works well with many Tuscan dishes like stews and Ribollita. Wow! Great dish and great pics! Definitely, sounds and looks wonderful .. 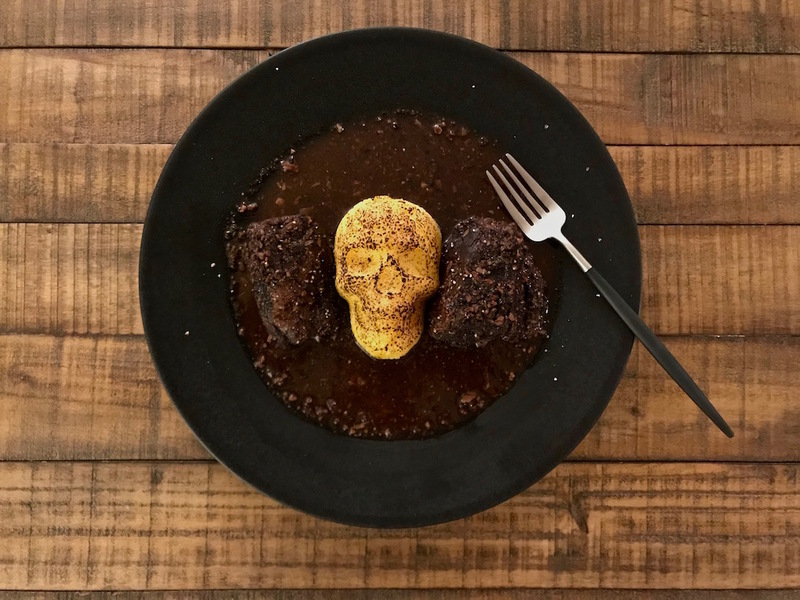 So good to see you here ..
Halloween themed peposo served with baked and lightly torched skull shaped polenta. This restaurant quality dish is to die for . BOO! Absolutely amazingly incredible art of plating !!! You should be a professional Chef if you are not already !! All my best wishes .. It can be served with either Chickpeas soaked overnight, Polenta as the bed and the meat placed on top or baked polenta or served on top of short pasta ..